Bestselling author James Kaplan redefines Frank Sinatra in a triumphant new biography that includes many rarely seen photographs. Frank Sinatra was the best-known entertainer of the twenti­eth century—infinitely charismatic, lionized and notori­ous in equal measure. But despite his mammoth fame, Sinatra the man has remained an enigma. As Bob Spitz did with the Beatles, Tina Brown for Diana, and Peter Guralnick for Elvis, James Kaplan goes behind the legend and hype to bring alive a force that changed popular culture in fundamental ways. Sinatra endowed the songs he sang with the explosive conflict of his own personality. He also made the very act of listening to pop music a more personal experience than it had ever been. In Frank: The Voice, Kaplan reveals how he did it, bringing deeper insight than ever before to the complex psyche and tur­bulent life behind that incomparable vocal instrument. We relive the years 1915 to 1954 in glistening detail, experiencing as if for the first time Sinatra’s journey from the streets of Hoboken, his fall from the apex of celebrity, and his Oscar-winning return in From Here to Eternity. Here at last is the biographer who makes the reader feel what it was really like to be Frank Sinatra—as man, as musician, as tortured genius. JAMES KAPLAN is a novelist and nonfiction writer whose essays, reviews, and profiles have appeared in "The New Yorker," the "New York Times Magazine," "Vanity Fair," "Esquire," and "New York." He coau-thored John McEnroe's autobiography, "You Cannot Be Serious," a number-one "New York Times "bestseller, and coauthored the bestselling "Dean and Me "with Jerry Lewis. He lives in Westchester, New York, with his wife and three sons. "Wonderfully vivid.... The story of Frank Sinatra’s rise and self-invention and the story of his fall and remarkable comeback had the lineaments of the most essential American myths, and their telling, Pete Hamill once argued, required a novelist, ‘some combination of Balzac and Raymond Chandler,’ who might ‘come closer to the elusive truth than an autobiographer as courtly as Sinatra will ever allow himself to do.’ Now, with FRANK: THE VOICE, Sinatra has that chronicler in James Kaplan, who has produced a book that has all the emotional detail and narrative momentum of a novel. Kaplan writes with genuined sympathy for the singer and a deep appreciation of his musicianship, and devotes the better part of his book to an explication of Sinatra’s art: the real reason readers care about him in the first place. " 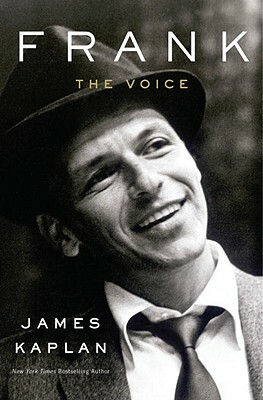 " Monumental... FRANK: THE VOICE is a timely reminder of what all the fuss over Sinatra was about in the first place. Kaplan follows in the footsteps of Peter Guralnick, whose magisterial two-volume biography of Elvis Presley was a landmark excavation of the artist from the dead-celebrity junk pile. Striking a similar, though more stylized, note, Mr. Kaplan offers a retelling of the early life of Francis Albert that illuminates the incredible-but-true origins of a 20th-century phenomenon. " "Fascinating...compelling...marvelously thoughtful [and] readable. Kaplan brings something valuable and new to this account of Sinatra's first four decades, culminating in his cinematic triumph in From Here to Eternity and stunning vocal comeback in the early 1950s. First and most valuable, Kaplan gives us an illuminating portrait of a serious artist who helped revolutionize his medium. Kaplan also does a brilliant job of suggesting how the way Sinatra sang the song grew out of the life of an artist every bit as confounding and conflicted as his era — a man by turns generous, attentive and immensely decent, then ugly, violently abusive and self-absorbed to the point of cruelty." "The definitive look at the iconic entertainer’s life. Incredible details punctuate the big picture of [Sinatra's] personal and private personas, all of which add up to one of the great life stories of the 20th century." "Entertaining...Sinatra does indeed spring to life here in all his complexity. [Readers will] be carried along by the undeniable pleasure of reading Kaplan's page-after-page-turner, dense with details of long-forgotten trysts and tiffs, career and emotional highs and lows, movie- and record-business shenanigans. Through talent, perseverance, momentum, ambition and sheer willpower, "Frank: The Voice" - like the man it chronicles - ends up seeming some sort of a classic." "Compelling... Frank: The Voice is authentically a page-turner." "Even those who've never downloaded a Sinatra song will be enthralled by this story of the smooth singer in the early years of his career. Sinatra seems more like the hero of a novel than a real-life star, but stories about his romances with stars from Lana Turner to Ava Gardner will keep fans humming along. Though ostensibly about Sinatra, the book is also a brilliant look at fame, family, and 1940s and '50s America." "Sinatra lovers will be enthralled by Kaplan's generous approach to the guy who sang about 'how little we know.'" "[A] lively, anecdote-crammed biography of the world's greatest saloon singer.... Kaplan...writes with insight and grace." "Biographer James Kaplan succeeds in capturing the fragile ego, contradictory impulses, and immense talent that defined Frank Sinatra." "Kaplan really gets what made Sinatra unique... Above all, [he] grasps how unsuited—and at the same time, how perfect—Sinatra was for the job of American idol." "A compelling narrative...seductively written, tellingly detailed and chock-full of insight." "Masterful... a vivid, fast-paced narrative... [An] immensely readable account of Frank Sinatra's rise from sweet-singing mama's boy to teen idol to Academy Award-winning actor." "Fascinating.... For anyone who wants to know what popular culture and celebrity felt like around the middle of the twentieth century, this book is the new bible." "Riveting... Kaplan's enthralling tale of an American icon serves as an introduction of "old blue eyes" to a new generation of listeners while winning the hearts of Sinatra's diehard fans." "This book may be the fullest account of Sinatra’s first 40 years... His youth, persistence in pursuing a singing career, relationships with women, work with band leader Tommy Dorsey, the controversial reversal of his draft status during World War II, and relationships with musicians and mafiosi are all presented with panache and clarity."